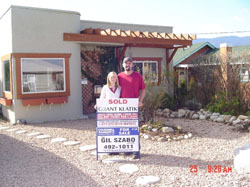 Why was choosing Grant Klatik from Gil Szabo & Associates the best real estate decision we have ever made? Because in a “sellers” market, life is simple: you list, show and sell. However, in a “buyers” market you need so much more: honest appraisal, strategy, connections, persistence and above all, hard work. And that is what Grant delivered. He gave us a completely honest opinion of how much our house should be listed for. Would we recommend the company to other sellers? We already have. Would we continue to recommend them? In a heart beat. I have to let you know that I was 100% satisfied with your performance as my realtor. The information and advice you provided was practical economical and effective and allowed me to focus on more important things. We received two offers in less than two weeks and closed for more than the asking price all in a slow market. It was very impressive I am grateful for your guidance in responding to the competing offers and in closing the sale. It was a seamless exercise. All in all I could not have asked for more. 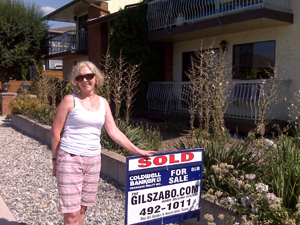 I had decided to make a move was leaving town and needed to get my home sold fast and within a specific time frame. I had worked with Gil in the past and knew he would get the job done quickly. With all I had to do the last thing I needed was to worry about whether or not my house would sell in time. I needed honest accurate advice and this is what Gil provided me with. Gil kept every promise he made and the team kept me completely informed every step of the way. The constant communication kept my mind at ease and allowed me to focus on all the other things that needed to be done before the move. I am so pleased with the results the team got for me. My house sold in 37 days for 96.46% of my asking price which allowed me to get on with my life. 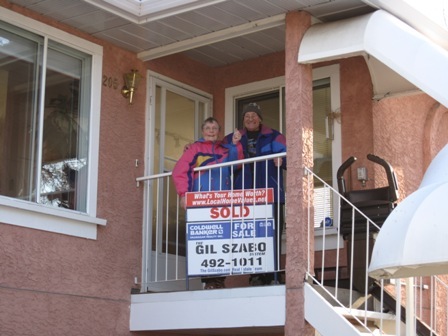 I would recommend the Gil Szabo Real Estate Team to anyone looking to sell their home quickly and hassle free Thanks again for another job well done. I just wanted to write to thank you for all you did for me in the recent sale of my mothers’ home. You and your entire team made the whole process easy and stress free for me which is exactly what I needed at this time. It was so nice to deal with some one who was sincerely trying to help me. I never felt pressured to do anything and was always kept well informed of the efforts and progress to get the home sold. I had the home listed with another realtor before calling you but I just didn’t feel I was getting the service I had been promised or deserved. You absolutely lived up to every promise you made and I am extremely happy to have gotten the home sold in just over 2 months and for 92.62% of the original asking price Thanks again. I am so very happy with the recent sale of my home. You and your team made the whole process so easy for me, and I cant thank you enough. When it came time to sell my home, I knew I wanted someone I could trust. You lived up to all the promises you made and I know my home sold as fast as it did because you were realistic and called it like you saw it. I trusted your advice, set the right price for my home and had an accepted offer with in a month!!!. The team concept you have works beautifully, and is very different from the way other realtors I have worked with do things. Everyone is so organized and the constant communication and weekly updates are fantastic. I was never left wondering and all my calls were always handled promptly. 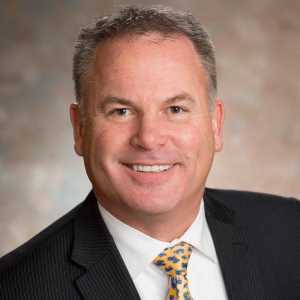 You have a very positive attitude and approach toward helping people, youre not just gathering another paycheck, and I think that goes a long way!